CapHillJazzyBday2012 033_phixr, a photo by zelda~c on Flickr. One never ending problem at my house is lack of garage space. We have three plus cars at any given time, and I've always loved the security and safety of a garage to keep automobiles or other tools in. 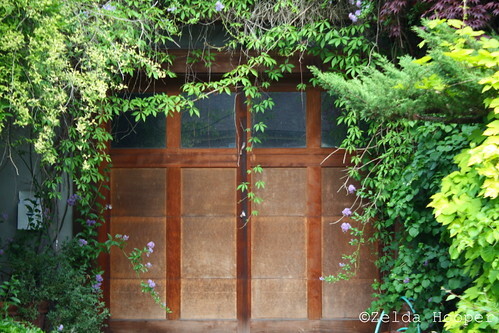 I love the look of this wooden garage and the way in which the greenery interacts with it. Check out my flickr photostream for more pictures of the house that goes with this garage.